A composition performed by City University London musician Ian Pace has been described as the greatest piano work of the 21st century in a recent article about modern piano music. 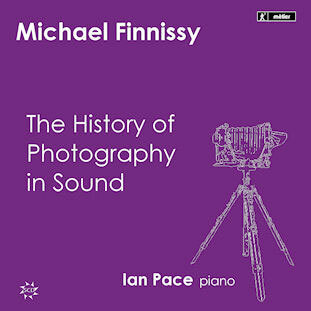 The History of Photography in Sound, composed by Michael Finnissy, is five and a half hours long and belongs to a genre known as the piano epic. Comprising 11 sections, the recording was sponsored by City plus an earlier Arts & Humanities Research Council (AHRC) research fellowship and received exceptional reviews following its release 18 months ago. Now, an article in The Spectator has described Ian’s performance as “supremely virtuosic” and named the composition the most forward thinking piece of the century so far. The academic, a Lecturer and Head of Performance in the Department of Music, was also interviewed for a recent BBC Radio 3 feature about the close relationship he and Finnissy share as musicians and how they collaborate during the composition of Finnissy’s pieces. Ian also wrote a major monograph on the work, which can be downloaded in full here. He said: “This is the most important project I have undertaken to date and I am naturally delighted that it has received such an overwhelming endorsement from The Spectator, as well as from various previous reviews. “Finnissy’s music is kaleidoscopic in its range of expression, evocation and meaning, and pushes the pianist to the very limit – the result is fascinating and electrifying. Other reviews of The History of Photography in Sound have described it as “one of the great pianistic statements of this or any age” (International Record Review) and “a magnificent achievement for both composer and performer” (BBC Music Magazine). A Sunday Times review described the duo as “truly prodigious figures”, adding it was “hardly possible to comment significantly on such a phenomenon”. Gramophone said the performance was executed with “each note shaded to perfection, structures translucently and sharply lit”. A summary of reviews can be viewed here. Ian has been playing the music of Finnissy for 25 years and gave the first complete performance of The History of Photography in Sound in 2001. He is set to play in Oslo, Kiev, Vilnius, and Aberdeen later in the year. The pianist has recorded more than 30 CDs, played in more than 22 countries and performed more than 200 world premieres during his career. For more information on music courses at City, as well news, videos and concert dates, visit the Department of Music web page.